In this guide, we look more closely at Guild’s support for hyperparameter optimization. Specifically, we look at a progression of techniques, starting with grid search and random search and moving to more sophisticated methods using Bayesian algorithms. Grid search — also referred to as a parameter sweep — is a form of hyperparameter tuning that uses exhaustive search over a manually defined set of hyperparameter values. To perform a grid search in Guild, provide a list of values to use for any given flag. If you specify lists for multiple flags, Guild runs trials for each possible flag value combination. Guild runs train.py for each of the specified values. Use your cursor keys to navigate to different columns. You can sort a column in numeric ascending order by pressing the 1 key while the cursor is in the column. For example, move to the far right column to sort by loss. Note the run with the lowest value for loss. Based on our function, 2 loss should be lowest where x is near ‑0.3. Because the loss function introduces a random component (“noise”) the lowest loss is not always where x is near ‑0.3. Press q to exit the Compare application. This tells Guild to compare runs starting with index 1 (the latest run) up to and including index 5. The ‑‑table option runs the command in non-interactive mode, printing the results to the console. For a complete list of options, see the compare command. This operation generates a total of 6 trials — the Cartesian product of the values specified for x and noise. We narrowed our range for x based on our previous results, using both automated grid search and intuition to find an optimal value for x. While Guild supports AutoML features, it still provides complete control over the model development process. By now, we’ve accumulated enough runs to show that values of x near ‑0.3 are indeed optimal with respect to minimizing loss. Random search is a method used in machine learning to explore hyperparameter spaces at random. 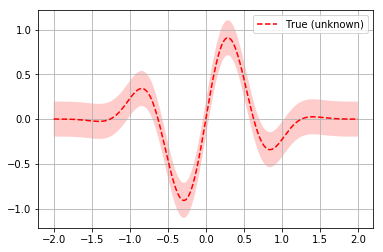 Random search is a surprisingly effective technique to find optimal hyperparameter values when you can spend enough time searching. For costly operations, consider Bayesian optimization (shown below) as an alternative to random search. The form [LOW:HIGH] is a short version of uniform[LOW:HIGH], which samples from a uniform distribution. Guild also supports loguniform, which samples from a log-uniform distribution. We set noise to 0 so we can search for the true minimum loss. The argument 1:5 tells Guild to show only runs starting with index 1 and ending with index 5 — i.e. the last five runs. The argument 1:5 is applied before the list is sorted by loss so that the result shows the last 5 runs rather than the top 5 runs. To view the top 5 runs, replace use ‑‑top 5 instead of 1:5. In the steps above, we used grid and random search methods to find values for x that correspond with low loss. This illustrates a common problem in machine learning: finding hyperparameter values that are optimal for a given model and data set. The search space across all hyperparameters is often too large to cover, even with substantial computing power. Large models, in particular neural networks, are expensive to evaluate, taking hours or even days to generate a single result. The argument bayesian in the command is an alias for gp, which is Bayesian optimizer that uses Gaussian processes. Note the use of gp in the command preview. Guild supports three Bayesian optimizers: gp, forest and gbrt. See below for more information on supported optimizers. Press Enter to start the operation. Guild runs 20 trials, each time using the results from previous trials to suggest values of x that are more likely to minimize loss. Note that we provide a wide range for x, not knowing (in this case, pretending not to know!) where to search. We rely on the optimizer to spend more time exploring high potential ranges to find a value for x that minimizes loss. Runs that are generated by the default Bayesian optimizer (i.e. using Gaussian processes) are labeled starting with gp. In some cases, the optimizer recommends values that have already been tried, in which case Guild intervenes and uses random values within the search space — these trials are labeled starting with gp+random. To sort a column in ascending order, navigate using the cursor keys to the target column and press 1 — e.g. use this technique to sort runs by loss so that low values are listed first. Bayesian methods are not guaranteed to find optimal values for x, though they can do reasonably well with enough trials. To ensure that you find optimal hyperparameters, you must use grid search, though as stated before, this is an intractable problem for large search spaces or expensive evaluations. Uses Gaussian processes. You can alternatively use bayesian or gaussian to specify this optimizer. Uses gradient boosted regression tree. Guild uses the excellent Scikit-Optimize library for its built-in support of Bayesian optimization. Guild can further be extended to use your own optimizer and will be enhanced over time to support a wider range of optimizers. Each optimizer has supports options that can be specified using oF or ‑‑opt‑flag options in the format ‑‑op‑flag NAME=VALUE. For help with an optimizer, including a complete list of options, run guild OPTIMIZER ‑‑help‑op. Sequential Model-Based Optimization for General Algorithm Configuration by Frank Hutter et al.